There are no translation on this language. Despite the common fear of spinal cord compression and disk herniation, most spinal conditions can be helped through non operative means. 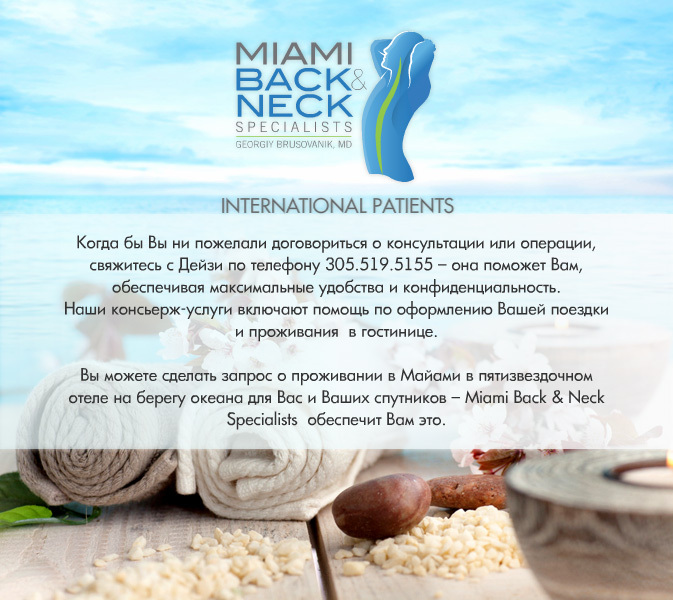 The approach of the Miami Back & Neck Specialists team and Dr. Brusovanik, MD as its as head of the practice, is based on scientific research and time proven methods. We strive to lessen your pain and improve your quality of life. 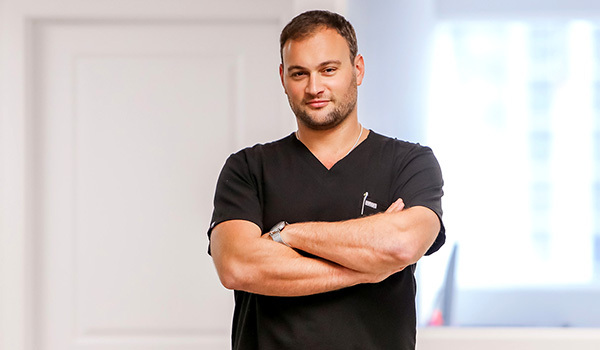 За более детальной информацией или для записи на прием свяжитесь по адресам, телефонам или електронной почте указанным ниже. Если вы приехали из другой страны,пожалуйста, следуйте по связке за дальнейшей информацией. (English) Bryce Singleton #1 Play of the Week on ESPN! " (English) MIS Anterior Lumbar Fusion for Spondylolisthesis "
(English) Revision Minimally Invasive Fusion for Failed back Syndrome — pre op visit "
(English) Minimally Invasive Spine Surgery by Dr. Brusovanik — Post Op Visit "
(English) Mr. Olympia has minimally invasive spine surgery with Dr. Brusovanik "
(English) Minimally Invasive Spine Surgeon, Dr. Brusovanik "
(English) Georgiy Brusovanik, Victor Camara and Gabriel Porras "
(English) Minimally Invasive Spine Surgery by Dr. Brusovanik "
(English) Dr. Brusovanik performs a minimally invasive fusion to fix the issues with prior failed surgeries "
(English) Victor Camara, Award Winning Actor & Director, Undergoes Disk Replacement with Dr. Brusovanik "